DENVER, Jan. 12, 2018 /PRNewswire/ — In today’s economy, it’s a sad fact that more than one out of five Americans goes without dental insurance. Henry is the co-founder of IgniteDA, a community designed to enlighten, empower, and engage dental assistants to help them reach their full potential and flourish in their careers. 1. Ask about dental plans. Dental practices are beginning to understand how many of their patients walk through the doors without insurance. With that in mind, many practices are coming up with their own discount dental plan (often called “memberships”) they can offer to patients. There may be a discount for a number of bundled services or two cleanings and check-ups put together for a lower price than if they were bought separately. Every dental practice has the ability to come up with its own dental plan or membership so ask the practice what their plan offers and any deadlines for completion of services. 2. Get on a payment plan. Without available financing, a recent study showed that 39% of patients said they would not have had dentistry done at all. Another study showed that 52% of patients were not aware that financing was a payment option. Big stores such as Best Buy offer their own financing to customers so they can afford a big-screen television. The same holds true in the dental industry, with industry leader CareCredit’s services offered by thousands of dental practices across the United States. Dental practices are more than happy to offer you options for your treatment. Just ask what those are and see if they fit your plans and budget. 4. Contact your state or local dental association. Every state has a dental association and every state’s dental association’s offerings should be online. Do a little searching and see what low-cost treatment options are available on your state’s site. 5. Ask for the “cash price” option. If you have the cash available to pay for a procedure, tell the dental office when you make an appointment and ask them if they offer discounts if you’re paying with cash and paying all up-front. Many practices do discount their fees if they don’t have to deal with insurance. An advocate of today’s dental assistant, Kevin Henry speaks to dental audiences across the nation on topics that empower dental assistants, helping them recognize the leadership role they hold in the practice. 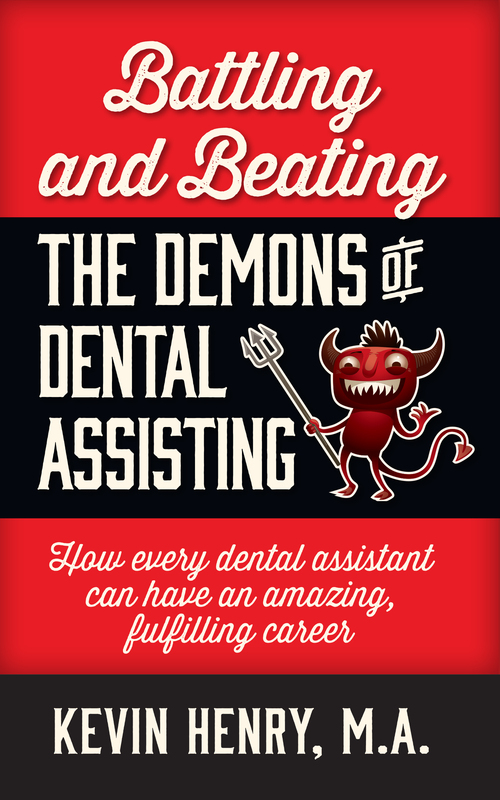 His recently released book, “Battling and Beating the Demons of Dental Assisting” is now available on Amazon. With 16 years in the dental publishing industry, Kevin is the former managing editor of Dental Economics and group editorial director for Dental Products Report. He was recently named as one of the top five influential voices in the dental industry on Twitter (@kgh23).